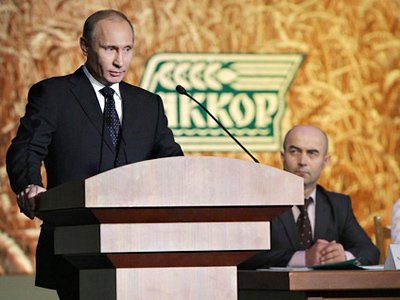 Prime Minister Vladimir Putin has set out the priorities for the national agricultural policy with farmers. ­On Wednesday, Putin attended at the 22nd congress of the Association of Private Farmers and Agricultural Cooperatives of Russia (AKKOR) in Tambov. The prime minister stressed the need to impose tough sanctions on those who do not use land intended for agriculture purposes. The failure to use agriculture land should be punished, Putin said. Currently, borders of only 20 percent of land plots have been determined. Regional and municipal authorities should distribute land among “those who want to develop agricultural production, those who want to become farmers,” the prime minister noted. 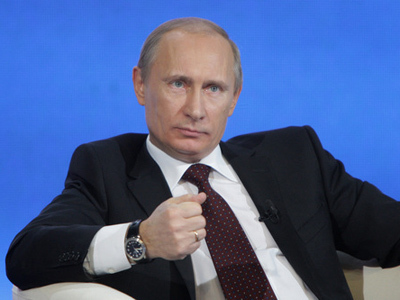 Putin also warned that speculators should not receive land to profit on it. “Land should be distributed to those who will work on it, for whom it is way of life,” he said. To help farmers, government-related banks should pay special attention to lending to small and medium-sized enterprises and private farms, Putin noted. The regions will also be obliged to build up lending, including through guarantee funds that have already been set up in 77 regions. The prime minister vowed to take tough action against insurance companies, which default on their obligations to drought-stricken farmers. “No one needs insurance businesses that merely leech off government support measures,” Itar-Tass quoted him as saying. Some insurance companies have refused to compensate for the damage caused by the recent drought under various pretexts. Six companies have already had their licenses revoked. “If necessary, we shall involve law enforcement agencies and prosecutors,” the prime minister warned. The government has earmarked five billion rubles of federal funds to insure this year’s crop. As many Russian farms need to modernize their fleet of agricultural vehicles, Putin suggested that a special government program be developed. 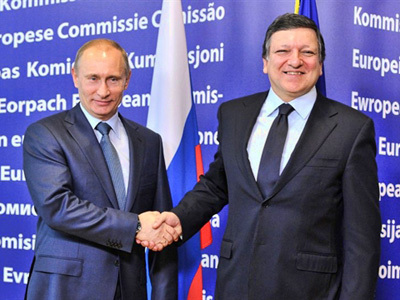 That would stimulate the production of high-tech foreign agro-equipment at Russian enterprises. Farmers should get rid of junk, the prime minister said. He added that Russian enterprises were starting to produce new models, and some foreign producers have already been coming to the Russian market. Putin also instructed the government to analyze the current situation on the fertilizer market and to develop measures to retain the price growth. The state allocations have not been spent efficiently, and a higher state funding only partially compensate for the fertilizer price growth. 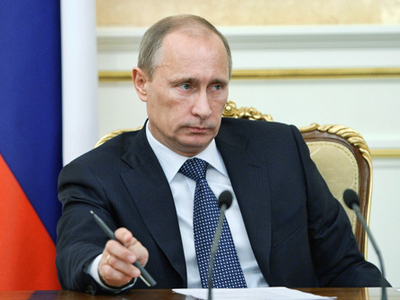 Putin suggested that more specialized farmers’ markets and agricultural fairs be established. Creating the whole infrastructure of harvesting, processing and marketing with clear and understandable rules for the industry is one of the basic tasks of the national agricultural policy, the prime minister said.